Pat Metheny has long been jazz’s most heroic guitarist, but he’s a guitar god with a definite and unabashed affinity for experimentation and the avant-garde. 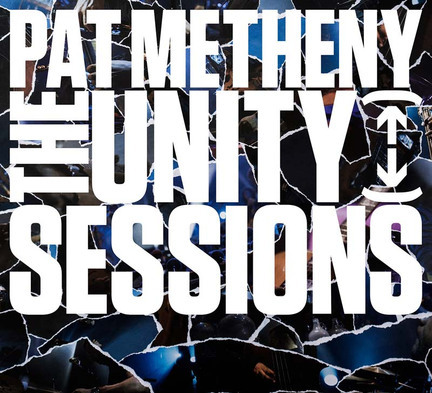 Two recent offerings from Nonesuch, The Unity Sessions and Cuong Vu Trio Meets Pat Metheny, veer toward each pole of Metheny’s identity while also underscoring the inside-outside nature of nearly everything he does. This is a complete musician. The Unity Sessions is the audio of an immersive DVD/Blu-ray program of the same name, released last year and recorded in a small New York theater sans audience. Think of it as a live-in-studio document that captures what was one of jazz’s best working units after a surplus of road experience. 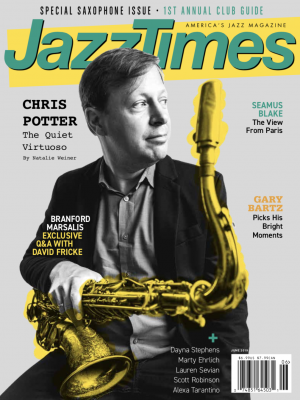 Metheny’s Unity Group, which flaunts some of the stadium-jazz ideals of the Pat Metheny Group while maintaining the elastic focus of a postbop band, boasts mighty personnel in saxophonist Chris Potter, bassist Ben Williams, drummer Antonio Sanchez and utility man Giulio Carmassi. But the performances and sound provide the hooks here. On tracks like “Roofdogs,” its melody so strong it nearly seems visual, you can feel how thoroughly this group has learned to plot its drama, escalate its intensity and command a large house. Metheny is one of few jazz artists to program his shows with a veteran pop or rock act’s sense of concert narrative, and this double-disc follows suit, bookending powerhouse explorations with acoustic showcases like “Medley” (listen for the gorgeously refracted, teased-out take of “Last Train Home”). The audio, at once airy and vital like a live recording but centered and undistracted like a studio one, is weirdly good; on high-quality equipment The Unity Sessions can come off like the work of a boutique audiophile label. On the second Nonesuch release, trumpeter Cuong Vu, a historically informed avant-gardist with a skill set wide enough for the Pat Metheny Group, invites his former employer into his group with bassist Stomu Takeishi and drummer Ted Poor. Moving from dissonance to consonance and from tedious to kinetic like the most effective out-jazz does, Vu’s program shares Metheny’s knack for varied terrain-from the sludge-metal evocations of “Acid Kiss” to the vibrantly ragged bop of “Not Crazy (Just Giddy Upping),” the new-music slog of “Tiny Little Pieces” and two fantastic examples of midtempo swing with underground attitude. On “Telescope,” Metheny chases a solo with transcendently overdriven chords, like Sonic Youth in full flower; on “Tune Blues,” he caps the swaggering cut with a beautifully filthy, glitchy solo you’ll need to rewind.